2004-2007: Staff Scientist, EIC Laboratories, Inc.
Prof. 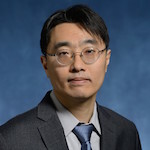 Sung Hoon Kang is an Assistant Professor in the Department of Mechanical Engineering and Hopkins Extreme Materials Institute at Johns Hopkins University since 2015. Prior to his appointment, he was a postdoctoral fellow in Materials Science and Mechanical Engineering at Harvard University working with Prof. Katia Bertoldi. He earned a Ph.D. degree in Applied Physics at Harvard University under the guidance of Prof. Joanna Aizenberg and M.S. and B.S. degrees in Materials Science and Engineering from MIT and Seoul National University, respectively. He has been studying complex behaviors of material systems and structures with novel properties based on inspiration from nature as well as rational design followed by rapid prototyping using a 3D printer. By designing experimental model systems and/or using computational models, he has been working on identifying key design parameters of systems so that we can make desired structures and properties by tailoring behaviors of systems. His research is supported by the Air Force Office of Scientific Research (AFOSR), the National Science Foundation (NSF), the National Institute of Health (NIH), the Army Research Office (ARO), and the Office of Naval Research (ONR). Throughout his career, Prof. Kang has co-authored 36 peer-reviewed papers in highly regarded journals including Science, Nature, Physical Review Letters, Advanced Materials, ACS Nano, and Nano Today, has given over 80 presentations (including over 40 invited talks), and has two patents and two pending patents. His work has been highlighted in numerous scientific and public media worldwide including New York Times, BBC, NPR, Discovery, the Times, Nature Physics, and Popular Science. His honors include 2019 Johns Hopkins University Whiting School of Engineering Research Lab Excellence Award, 2019 China-America Frontiers of Engineering Symposium Invitee, FY 2018 Air Force Office of Scientific Research Young Investigator Program Award, 2016 National Academy of Engineering’s US Frontiers of Engineering Symposium Invitee, 2011 Materials Research Society Graduate Students Gold Award, 2009 International Science and Engineering Visualization Challenge First Place in Photography Category, and several poster awards and travel fellowships from prestigious conferences/workshops. Outside lab, he is interested in communicating science and technology to general public and fellow scientists/engineers through science-art and outreach activities. Prof. Kang serves various roles in research community.He served as an editorial board member of Scientific Reports (Nov. 2014 – Oct. 2017) and a guest editor of February 2016 issue of Materials Research Society Bulletin. Currently, he serves as a reviewer for Nature, Science, Advanced Materials, Science Advances, ACS Materials &Interfaces, Nanoscale, Applied Energy, Journal of the Mechanics and Physics of Solids, Soft Matter, Langmuir, Applied Physics Letters, Composites Part A, Smart Materials and Structures, Bioinspiration & Biomimetics, Advanced Materials Technologies, Extreme Mechanics Letters, International Journal of Solids and Structures, Journal of Mechanics of Materials and Structures, Journal of Mechanical Design, Micromachines, MRS Advances. He is also a proposal reviewer for National Science Foundation, Army Research Office and American Chemical Society Petroleum Research Fund. Prof. Kang is a member of American Society of Mechanical Engineers (ASME), Materials Research Society (MRS), Society of Engineering Science (SES), and American Physical Society (APS). He is an elected member of the ASME Technical Committee on Mechanics of Soft Materials serving as the Vice Chair (2019) and will serve as the Chair (2020). [April 5, 2019] Rebecca presented at DREAMS (annual celebration of undergraduate research). [March 29, 2019] Boliang received PhD admission from UCLA. Big congratulations! [March 27, 2019] Ozan received a job offer from W. L. Gore and Associates. Big congratulations! [March 11, 2019] Sung Hoon gave an invited talk at Applied Physics Lab. Thank you for kind invitations, Drs. Xia and Shrenkenhamer! [March 7&8, 2019] Sung Hoon co-organized two sessions and gave one presentation at APS March meeting.